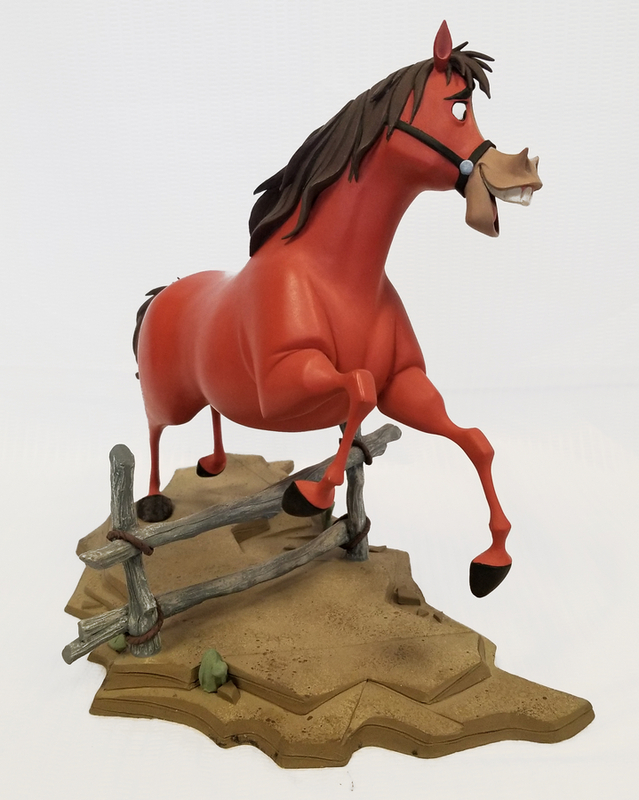 This is an original studio production maquette from the Walt Disney Studios feature film, Home on the Range. 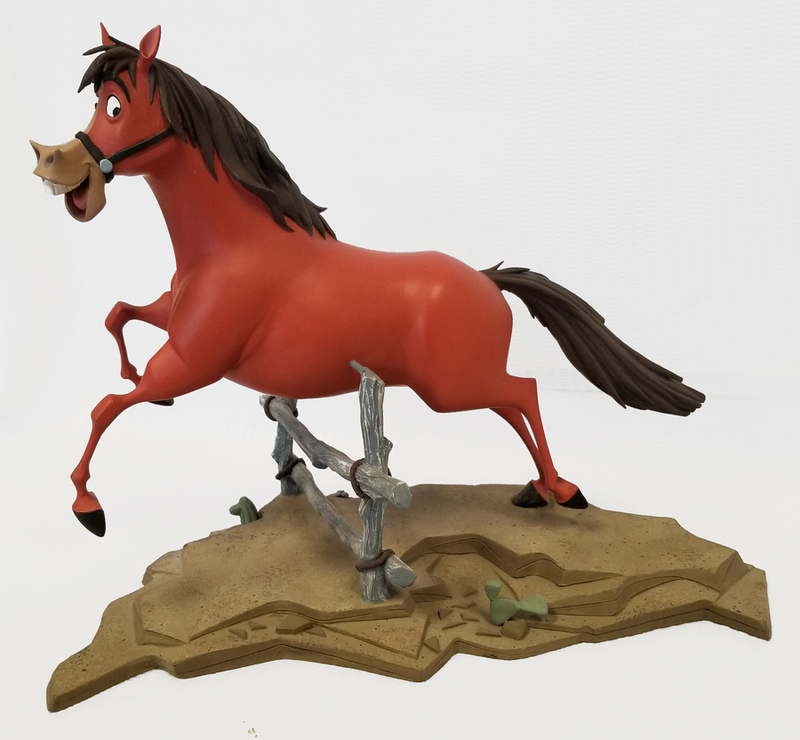 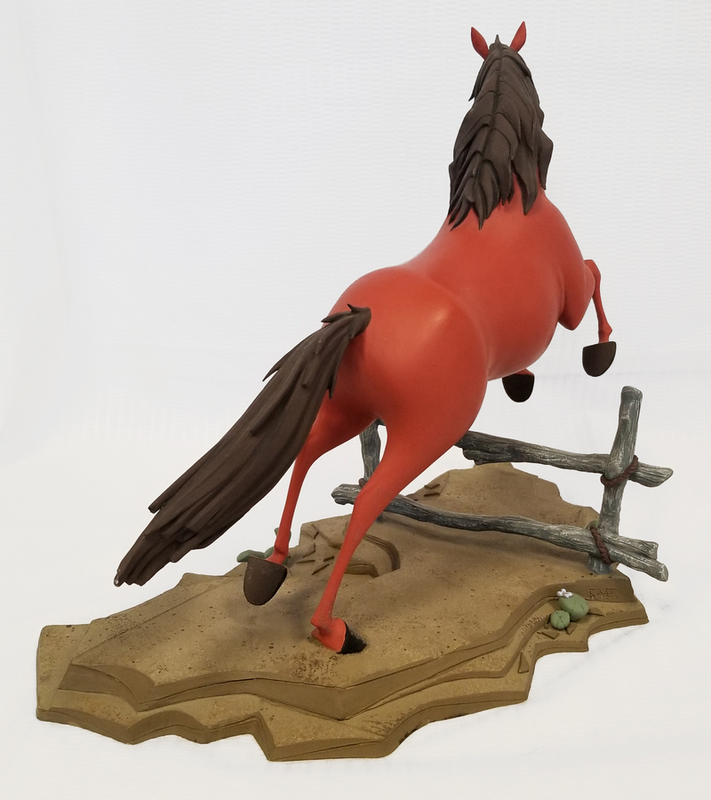 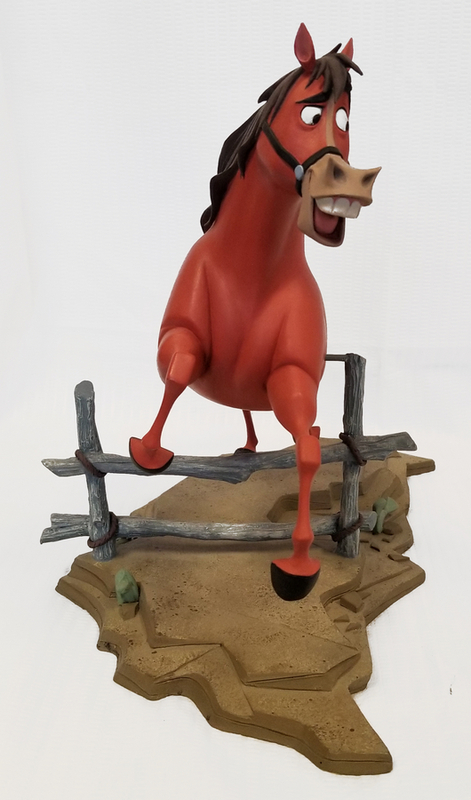 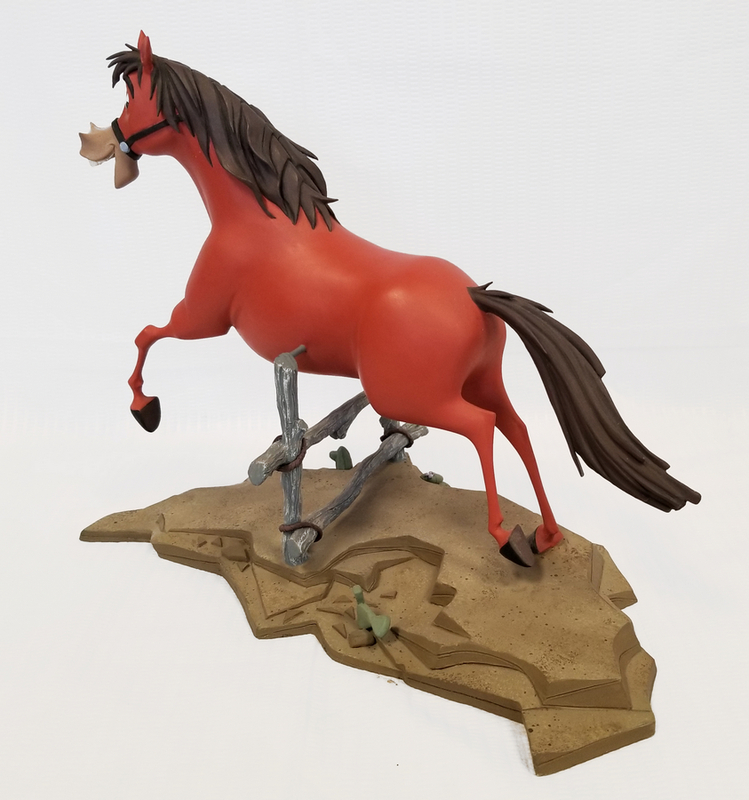 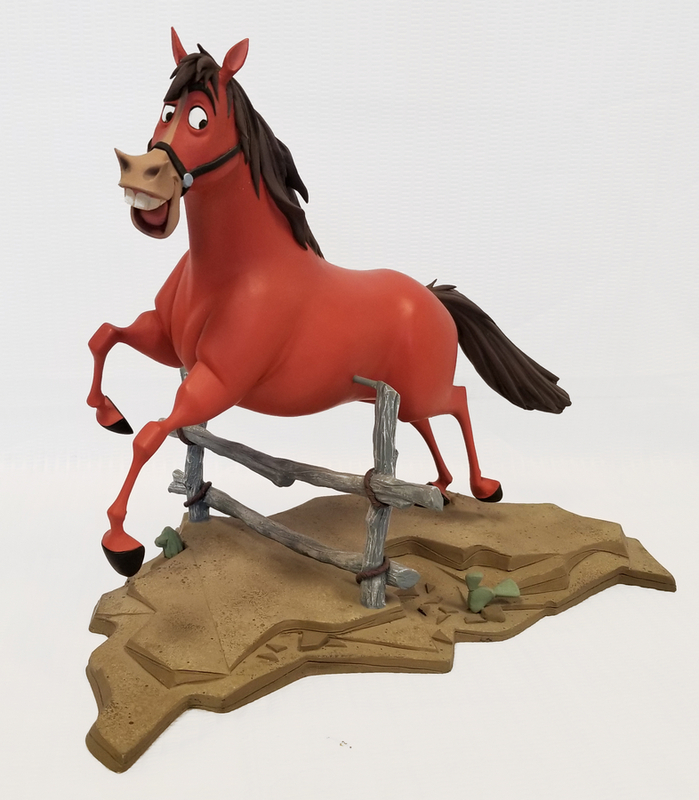 The rare and amazingly sculpted reference tool features Buck the horse jumping over a fence, and was created at the studio and used as a three dimensional reference tool.The maquette is constructed of cast resin that is built on an integral decorative base. 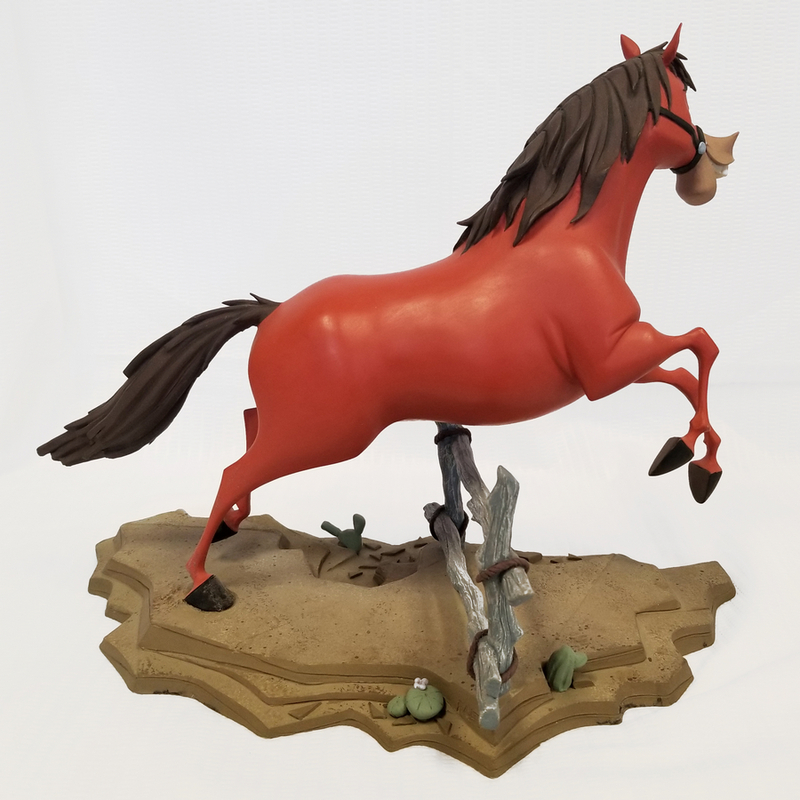 The entire maquette is hand-painted and detailed by the Walt Disney animation studios and measures 10.5" x 13". 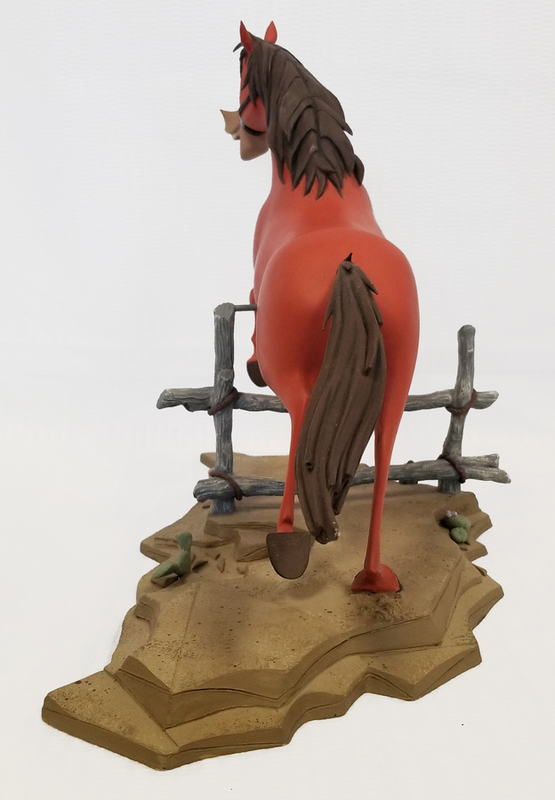 This maquette is hand-numbered “B – 7” on the underside of base and is in excellent condition.